Vienna. Well, the first questions everyone seems to ask are “Did you like it?” and “how was it?”. Both of those are loaded questions, in my opinion. As with anything there is good and bad. Did I enjoy my vacation in Vienna? Yes. I finally got to see a lot of things I’ve wanted to see since I first heard of them many years ago and also discovered cool things that I wasn’t expecting necessarily. This is why I travel…and is nearly always the case. After many years living in Munich, Vienna isn’t a huge departure culturally, but is definitely not the same. A friend of my wife’s that we met in Vienna kept repeating a slogan from the local tourist board “Vienna is different”, and it was. Not better, or worse, but different. On the train home from Vienna I thought about all the things I wanted to say about the trip here on the blog, but unfortunately I don’t have a direct link from my brain to the computer, so these things take time as I’m always distracted at the computer by all the random people that want things from me. I thought I would start with my first impressions of the city…transportation and the hotel. We took the new rail Rail Jet which is, and I very jokingly quote: “Austria’s high speed train”. It tops out at 200km/hr, which is reasonably fast…but you have to consider that 90% of the time it’s going 80-100km/hr. In comparison, you can look at Germany’s high speed train, the ICE, which regularly travels at speeds up to 320km/hr. The Rail jet, although a comfortable train with friendly service, is not a high speed train by European standards. Anyways, it was a nice fairly short ride to Vienna and into the West train station. Our hotel was the “Allegro”, which has a decent location and worked rather well for our purposes. It is a 3-star hotel for under 50 bucks a night…can you really go wrong there? Breakfast was included and quite decent as well….better than average in fact. We came into town, went to a ticket machine for the S-bahn, U-bahn, and trams of Vienna…and their ticket machine was very easy to figure out. In comparison to Munich, that was SUPER-easy. 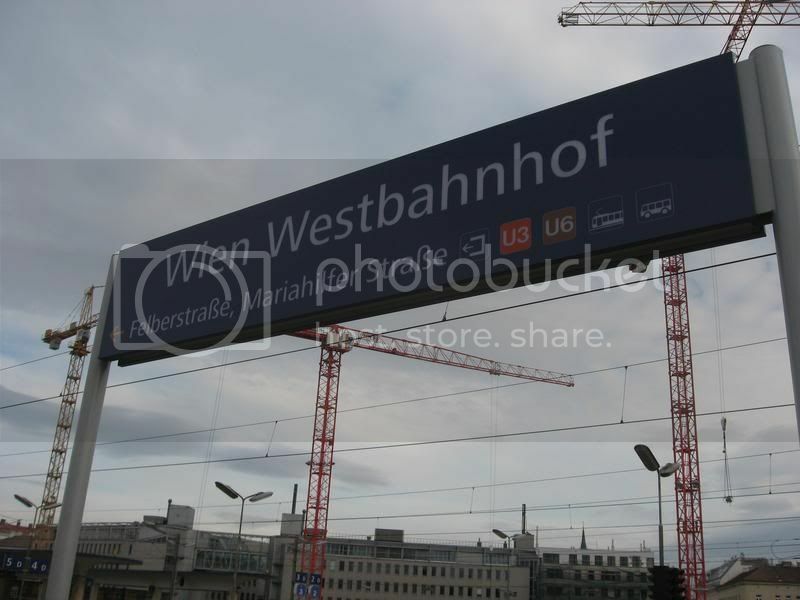 The S-bahns and U-bahns, on the other hand…are a bit, umm…I think I would say “ghetto” in comparison to Munich. Being extremely used to public transportation, we got to our hotel very quickly and without a hassle at all. Most of this was expected, though, as Vienna has a reputation as being a very comparable city to Munich. I guess I expected their transportation system to be updated like Munich’s has been…but apparently they don’t have the money to do it there. Anyways, I think I’ve written enough for this post, I’ll write more on Vienna later, in parts 2-56. This entry was posted in tours on March 6, 2010 by NOFXmike.